Indulge in a world of amazing food. 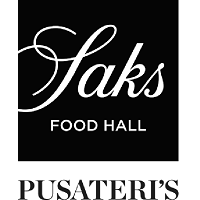 At CF Toronto Eaton Centre you can experiences the assortment of the best foods and food experiences courtesy of Saks Food Hall by Pusateri's. Saks Food Hall is changing the way people think about their mall's food court.